The image above is really awesome considering that my mother shot the image with her Samsung Galaxy S3 and that you simply can´t plan photos like this one. 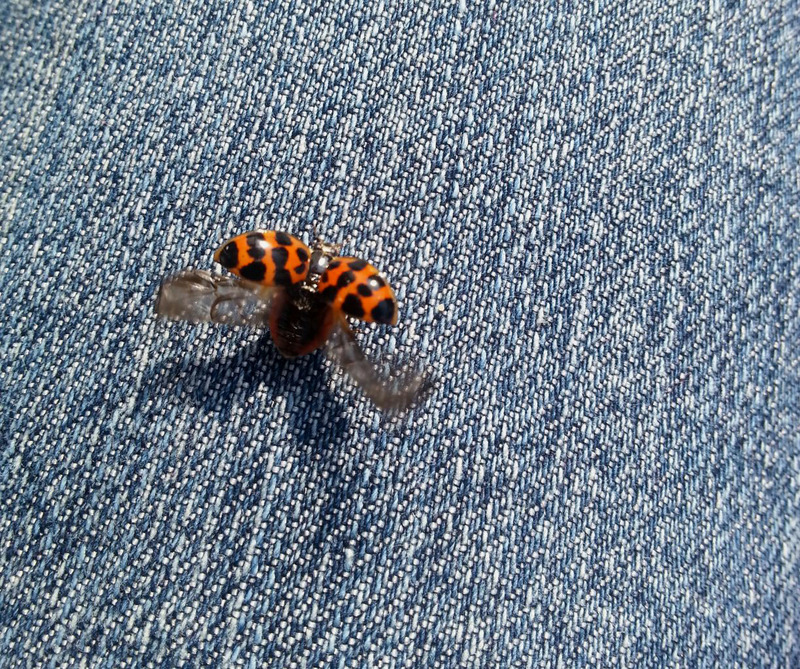 My mother and me took a lot of photos of this beautiful ladybug. I showed one of the photos earlier. My mother with her S3 and I with my Sony Xperia P.
But my mother took some more photos when I was done and at some moment the ladybug was taking off from the blue jeans and I said to my mother “With luck, you have the scene saved!” and we browsed through her image album on the phone. See there, it was a lucky hit, considering that the focus of a smartphone does not really work fast. But this is a lucky shot I would say. What a cool image, I would say and my mother was pretty happy as well.